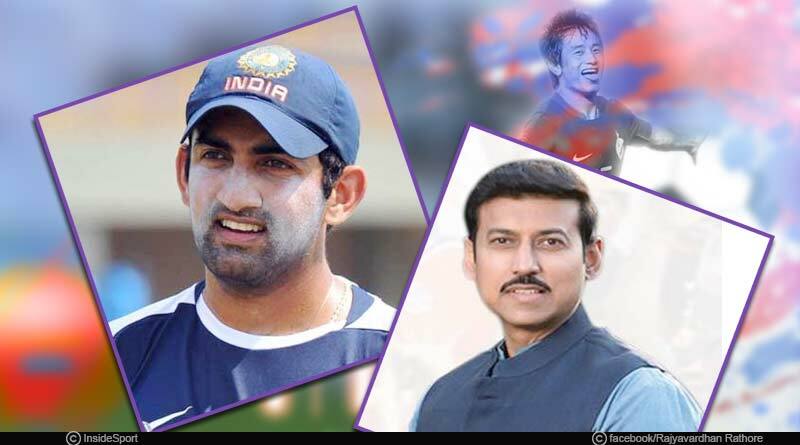 Gautam Gambhir joined Bharatiya Janata Party on 22 March 2019 in the presence of Union ministers Arun Jaitley and Ravi Shankar Prasad. BJP party indicates that he may be contesting from Delhi, which is set for a three-way contest with the AAP and the Congress failing to form an alliance to take on the BJP. Rajyavardhan Singh served in Indian Army and is a Union Minister in Prime Minister Narendra Modi’s cabinet. Rathore is the Minister of State (Independent Charge) for Ministry of Youth Affairs and Sports in the Government of India. In 2019 Lok Sabha elections he will be contesting from Jaipur. Congress candidate Krishna Poonia will be contesting against him. Also read: Lok Sabha Elections 2019: Who is contesting against top BJP leaders? India’s famous football player Bhaichung Bhutia’s political party, Hamro Sikkim got formally registered with the Election Commission. He revealed that his party is a very different kind of political party not just in comparison with other political parties in Sikkim, but also the rest of India and what sets them apart is their party’s constitution, which lays down that nobody gets more than two terms in office—whether one is elected an MP, MLA, or party president. Krishna Poonia is an Indian discus thrower who has brought laurels to the nation in many National and International competitions including Olympics, Commonwealth Games. She is a congress party supporter and is contesting against Rajyavardhan Singh Rathore for Jaipur seat in 2019 Lok Sabha elections. Also read: What is Lok Sabha? The Congress Party fielded former BJP leader Kirti Azad from Dhanbad Lok Sabha constituency in Jharkhand. Azad was part of the 1983 World Cup winning team and is the son of former chief minister of Bihar, Bhagwat Jha Azad. For more articles like, ‘Sportsperson who are contesting 2019 elections, do follow us on Facebook, Twitter, and Instagram.